Last night the House passed a historic compromise education funding plan that ensures all children in Illinois will have access to a high quality education. Read more about SB 1947. Here is what some of our members are saying about it. “With the passage of SB 1947, we end a school funding battle that has put school children in the line of political fire in Springfield. This bill offers every school-aged child the opportunity to succeed." “This bill represents concessions from both parties and from both chambers. 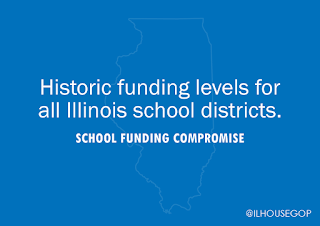 This compromise prioritizes funding for our most impoverished schools and students while securing historic funding levels for all 852 school districts in Illinois." "This compromise bill brings a scholarship system to Illinois that will allow students from all walks of life to access excellent schools and will allow parents the opportunity to choose which type of education best fits their family. If families are in failing school districts, they will have alternatives." 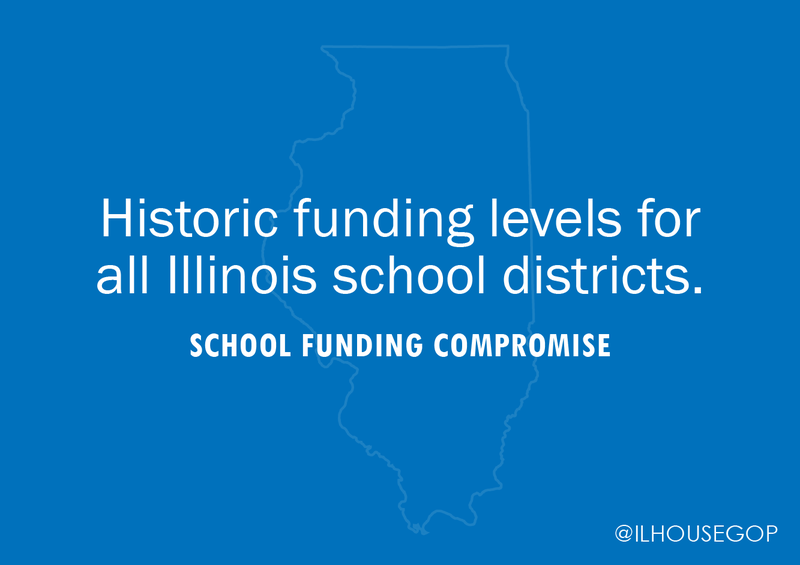 "The education funding reform plan approved secures historic funding levels for all 852 Illinois school districts. No school in my district will lose funding under this education funding plan."